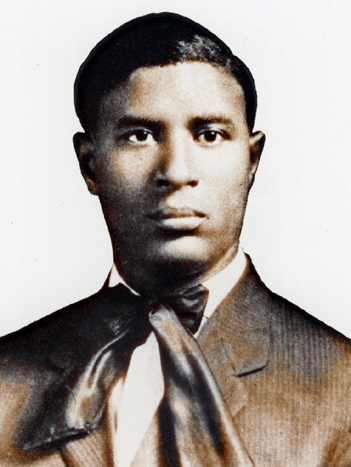 Garrett Augustus Morgan, Sr., was the son of former slaves and devoted his life to creating items that made the lives of common people safer and easier. Firefighters in many cities in the early 1900s wore the safety helmet and gas mask that Mr. Morgan invented and for which he was awarded a gold medal at the Second International Exposition of Safety and Sanitation in New York in 1914. The gas mask Morgan invented in 1912 (patent no. 1,113,675) was also used during World War I to protect soldiers from chlorine gas. In 1916, Mr. Morgan made national news for using his gas mask to rescue several men trapped by a gas explosion in a tunnel being constructed under Lake Erie. Mr. Morgan was honored with two gold medals for his heroic efforts. His automated traffic signal (patent no. 1,475,024) featured a third position that halted traffic in all directions between Stop and Go. These signals were the basis for modern traffic signal systems and remained in use until they were replaced with the light signal devices used today.